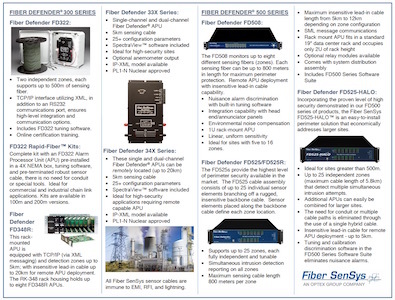 With the broadest portfolio in the industry, Fiber SenSys can provide you with the sensor that best meets your needs. Our perimeter sensors are ideal for medium security applications that might be as small as 50 meters to large airports bigger than 25km. Let us help you protect your site. We protect the most critical resources in the world with the highest level of security. Our data security products are a low cost, low complexity way to protect your data. Often, expensive crypto equipment can be replaced by our sensors with no impact on band-width or requiring expensive key control and maintenance. 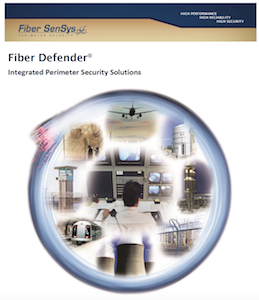 Below is an overview of our alarm processors, sample applications, and key features. Additional details and documentation are available on the individual product pages. All of our systems are scalable to meet your requirements. Please feel free to contact us to help define your need.